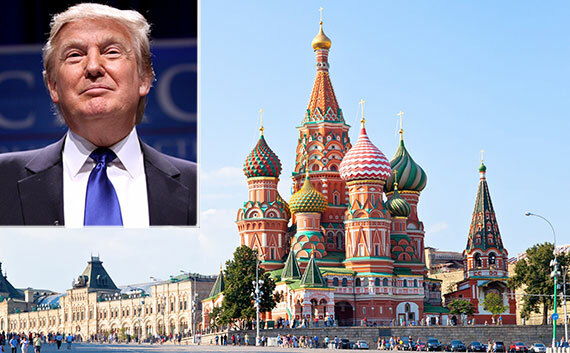 Russia is looking forward to a Trump presidency and open negotiations that lead to mutual end of ISIS and other establishment atrocities. Or so it appears. It has been well established that the news propaganda machines have been forging a masterpiece of science fiction that has now become a reality world wide. The only problem with the reality is the media continues to create their own heroes and villains and they aren’t telling the truth about their war mongering games. The truth is the establishment elite that pull the strings on their puppets are setting the world stage for the most horrid version of their own take on the film “Hunger Games” and are ready to sit back and enjoy the show. The epic problem the establishment faces is the dreaded likelihood of a Trump presidency that will definitely upset their evil global dominance plans. They simply can not have the United States and Russia on the same page to unite the world and protect the sovereignty of all nations. That would simply ruin every thing they have, in secret, set in hyper speed motion. Even the Hillary Benghazi debacle is well protected to insure that all the players who are involved never be exposed. Why on earth do you or anyone think she is being allowed to run as though she were some real prize for the Oval Office? It is because she and Billy are masters at black mail, even though they flunked at email 101! The only thing that will stop Hillary is when the people rise up and shout she is guilty and point to her and her accomplices who also did the bidding of the establishment elite – that is the only way to stop her secret weapon of black mail. Isn’t it time to expose all the lies and all the hidden agenda? Meanwhile the Washington Examiner is getting very nervous at the large support Russia is giving Trump on a daily basis. They have even gone so far as calling the Russia website that supports Trump a troll. Well, isn’t that Saul Alinsky 101? If you can’t do anything else, call them names. So does that make all Trump supporters in America trolls too?